Today’s the big day! The 9th annual Buffalo Small Press Book Fair kicks off today at noon. Then, we’ll do it all over again tomorrow, starting at 11am. Hope to see you there. Thank you for all your support! Let’s have another great fair this year. See you in a few. Drive By Press, Workshops, Open Readings, Food Trucks! The weekend we’ve all been looking forward to is finally here. The 9th annual Buffalo Small Press Book Fair will take place this weekend at Karpeles Manuscript Library Museum, 453 Porter Ave, Buffalo, NY. Saturday, April 18th from 12-6pm and Sunday, April 19th from 11am-5pm. Hope to see you there! The BSPBF has a lot in store this year, even for your belly! Food trucks galore, with Saturday featuring Lloyd Taco Truck and Amy’s Truck, and Sunday featuring Frank Gourmet Hot Dogs and Amy’s Truck again! And in case you haven’t heard, Drive By Press from New York City will be bringing their amazing handmade woodcuts, and they’ll be using them to make t-shirts on the spot! As always, concurrent with the Fair, we’ll be hosting Open Readings on Saturday. If you’re interested in reading, please visit the participate tab on the website, and email us. Check out the featured readers in the sidebar on the schedule page. 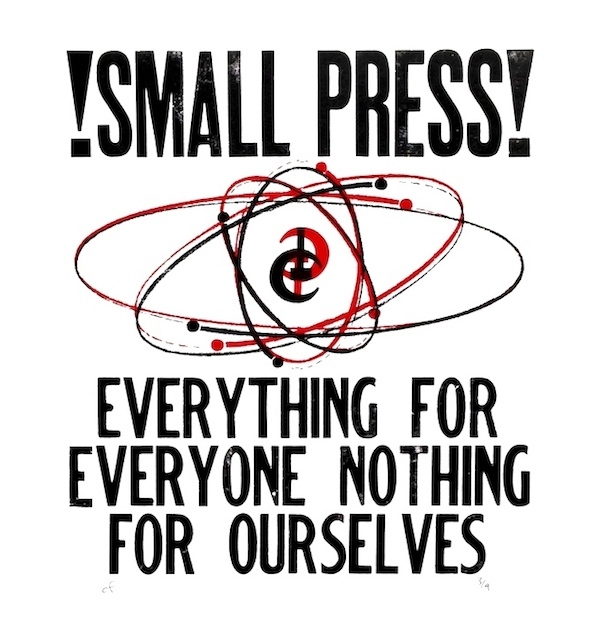 If you’re looking for something to do Saturday night after the Fair, check out the All Poetry is Small Press Poetry Reading, hosted at Sugar City, 1239 Niagara St, Buffalo, NY at 7pm! 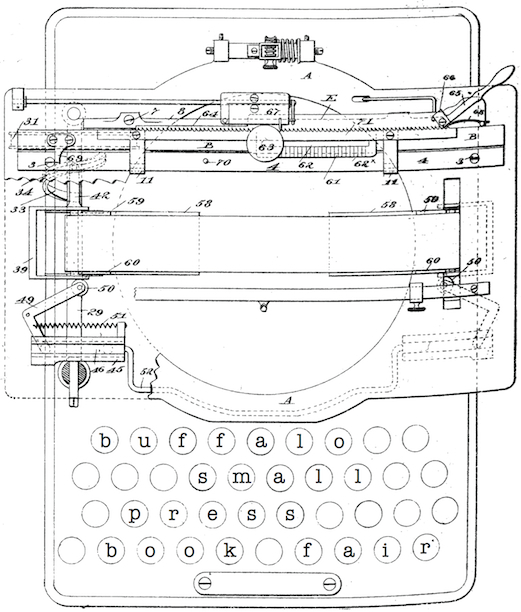 The reading will feature poets and authors from 3 small presses: Bloof Books – Jackie Clark, Amanda Montei, Shanna Compton; Furniture Press – Ryan Eckes, Jesse Nisim, Thomas Devaney, Elizabeth Savage, Kevin Varrone; Sunnyoutside Books – Cheryl Quimba, Jill Osier; along with a performance from The Psychic Readings Company. We’ve locked down a couple of workshops to pique your interest on Sunday – come check out the basics of paper making with Danielle Myers from petrichor paper, or make a lunchbag journal with book artist Deb Eck. Check out the schedule page for more details. And finally, if you are visiting from out of town and plan to spend some more time with our fair city, we’ve updated the Accommodations page with some new options. Be sure to check it out! Applications are now closed for the 2015 BSPBF! Help promote! 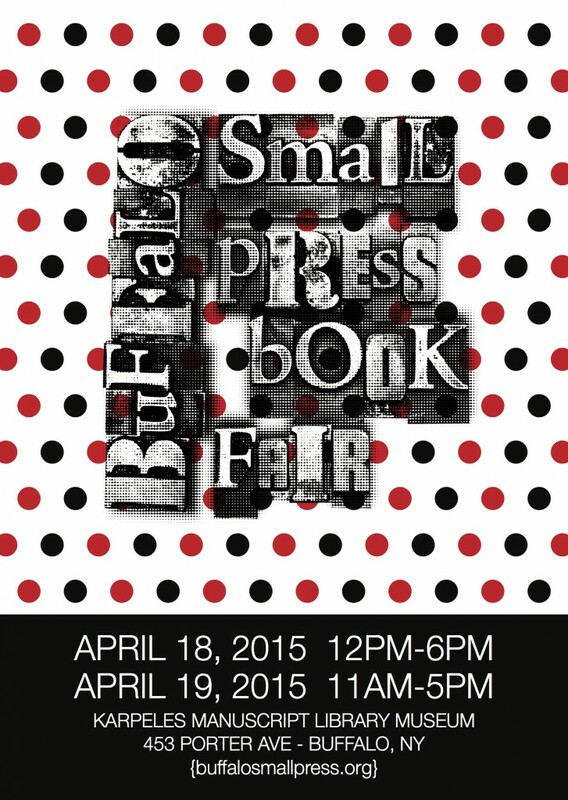 Thanks to everyone who applied to the 2015 Buffalo Small Press Book Fair! We received hundreds of applications, and we encourage everyone to apply again next year. The Fair is just one short week away, and we hope that you’ll help us promote! Visit the Promote tab on the website and download banners that you can toss on your blog, website, or social media outlets, and if you’re interested in writing about the event, you can download the 2015 Buffalo Small Press Book Fair Press Release. Keep your eyes peeled for more updates throughout the week, and be sure to check out the schedule of events! Thursday Night Progressive Fiction Reading! Events for the Buffalo Small Press Book Fair start in just a couple days – and to kick it all off, we have an amazing progressive fiction reading by internationally renowned authors Shane Jones and Lance Olsen! This event takes place at the Western New York Book Arts Center, (468 Washington St.) Thursday, April 3rd, at 8pm. Lance Olsen is author of twelve novels, one hypertext, five nonfiction works, five short-story collections, a poetry chapbook, and two anti-textbooks about innovative writing, as well as editor of two collections of essays about innovative contemporary fiction. His short stories, essays, poems, and reviews have appeared in hundreds of journals, magazines, and anthologies, including Conjunctions, Black Warrior Review, Fiction International, Iowa Review, Hotel Amerika, Village Voice, Time Out New York, BOMB, Gulf Coast, McSweeney’s, and Best American Non-Required Reading. Olsen is a Guggenheim and an N.E.A. fellowship recipient, winner of the Berlin Prize and a Pushcart, and former governor-appointed Idaho Writer-in-Residence. Olsen currently teaches experimental narrative theory and practice at the University of Utah. Olsen’s visit is sponsored by Medaille College as part of the Write Thing Reading Series. Shane Jones is the author of Light Boxes (Publishing Genius/Penguin), The Failure Six (Fugue State), Daniel Fights a Hurricane (Penguin), and the soon-to-be-released Crystal Eaters (Two Dollar Radio). 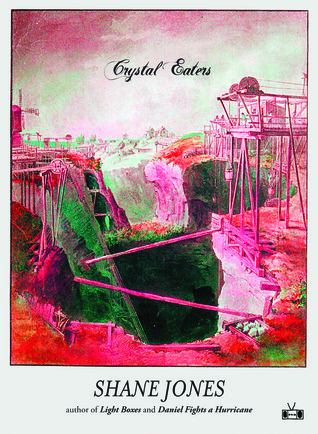 Shane will be reading from his forthcoming novel, Crystal Eaters, for the first time ever! His visit is sponsored by the Buffalo Small Press Book Fair, in conjunction with the 2014 event. The festivities will feature complimentary refreshments, courtesy of the BSPBF! RSVP on Facebook for this event! Please visit our promote page for ideas, banners, web tiles, and this year’s Press Release. Social media is critical for getting the word out, so remember to follow us on Twitter, like us on Facebook, follow us on Instagram, and RSVP to the Facebook event page! Vendor slots for the 2014 BSPBF are now full. Thank you to everyone for their support! This year we have an extensive list of vendors from all over the US and Canada, coming from as far as Vancouver, Miami, Baltimore, Detroit, and so many other great cities! The schedule for the 2014 event is now complete, but there are still slots for the Open Readings that take place Saturday afternoon, concurrent with the Fair. If you’re interested in a ten-minute reading spot during our self-regulated marathon reading, whether it’s poetry, fiction, non-fiction, or something altogether uncategorizable, just contact us and let us know! We can’t wait to see everyone; this is going to be the best year yet! The 8th Annual BSPBF is in the works, and vendor and sponsor applications are now open! Be sure to get your applications in as soon as possible. They’ve only been open two days, and 70 applications have flooded in! Great things are planned for this year – so keep an eye on the upcoming announcements, the schedule of readings, and many other ancillary events!